Urban Farms of Central Ohio (UFCO), an initiative of Mid-Ohio Foodbank, is dedicated to transforming vacant sites in under-served neighborhoods into productive, sustainable urban farms that provide food insecure residents access to fresh, local produce, jobs and job training, and opportunities for civic engagement. The Clarfield Farm is in Columbus’ south side Marion-Franklin neighborhood at 3220 Groveport Road (43207) in a community that is defined by the USDA as a ‘food desert’. 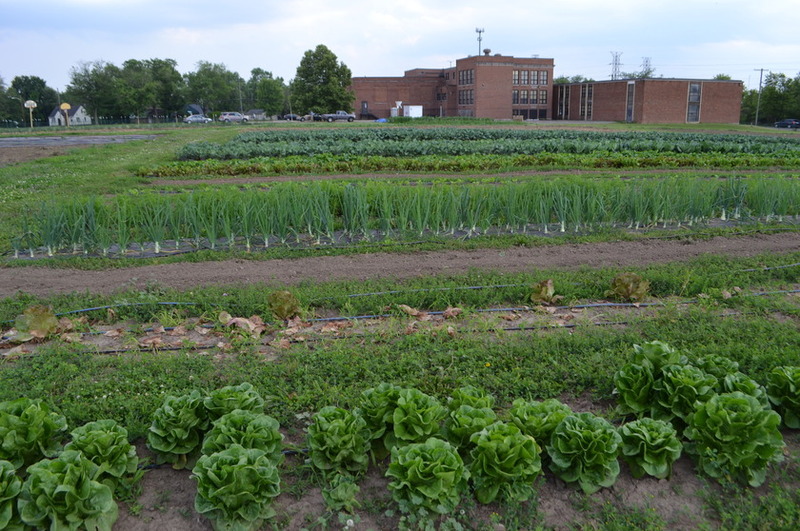 On the grounds of a recently re-opened school, the Clarfield Farm grows on roughly 3 acres. We grow using sustainable, chemical-free practices from seed to harvest. Clarfield Farm has (4) 96 x 30ft high-tunnels for year round production, as well as a community pay-what-you-can farm stand on-site. Products Overview: At Clarfield Farm, we grow over 30 different types of vegetables and some fruit.